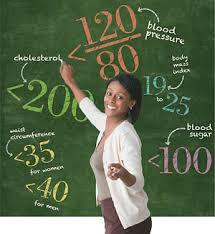 We often hear the phrase “Know your numbers” as it relates to our health. Typically, that phrase is related to knowing things like your cholesterol numbers or your blood pressure. Those are certainly good to know. However, there are other key measures many people need to be more finely tuned in to. Specifically, as we address in this blog, we’re talking about measures associated with people who struggle with their weight. You need to know your “Fat” Numbers! One such critical Fat Number is your BMI (Body Mass Index). This is THE measure that provides an objective and scientific measure of where you are with your weight – and health risks. Are you really “just a little over-weight”? Or have you progressed beyond that? Are you now into that area that puts you into the medically diagnosed disease called “Obesity”? We know … nobody wants to be called that or labeled that. But, it is no longer a subjective opinion simply based on how a person looks. It is a black and white measure. BMI at 30 or more IS obesity. Period! And, clinical study after study links BMI’s over 30 with ramped up heart disease, diabetes and even multiple types of cancer. With that in mind, do you think you might want to know your number … and stay below the “30” mark? We think so! Another key “Fat” Number to be aware of is your Visceral Fat Rating (VFR). Ever heard of that? Most people have not – but check this out: There are different kinds of fat. Subcutaneous Fat is that fat we store just under our skin. The fat we may be able to feel on our arms and legs is subcutaneous fat. On the other hand, Visceral Fat is body fat that is stored within the abdominal cavity. So, it is stored inside and around a number of important internal organs such as the liver, pancreas and intestines. Research has shown that this type of fat plays a distinct and potentially dangerous role affecting how our hormones function. Everyone will have some Visceral Fat, but your VFR should not surpass 12. If it does, BE AWARE! Those with a higher VFR are exposed to an increased risk of a variety of serious health conditions including: Type 2 Diabetes, Heart Disease, Breast Cancer, Colorectal Cancer and Alzheimer’s Disease. Yikes! Sounds like a number worth knowing – and controlling! Other Fat Numbers worth waking up to are your Body Fat % and even your Body Fat Mass – that is literally the number of pounds of your overall weight that is fat. Not bones; not skin; not muscle; not water; just un-wanted fat pounds!. These numbers (and more) can be acquired in a matter of a minute or two with computerized Body Composition Analysis (BCA). Raised awareness of these “Fat” Numbers along with interpretation of them and an effective action plan are allowing people to shed pounds and pounds of fat! Want to Know Your “Fat” Numbers? Want or need to lose some fat?